In 2005 he joined Cremades & Calvo-Sotelo Corporate department. His professional experience commenced in the Corporate department of Uría Menéndez law firm and subsequently he was incorporated to the Information Technology and Intellectual Property department. 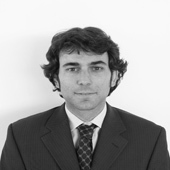 After three years working in Uría Menéndez law firm in 2005 he joined Cremades & Calvo-Sotelo Corporate department.